Just because I've been watching a bunch of Doctor Who lately. Tis' the season to spread some holiday joy. And what would be better than a Sci-Fi story about Santa delivering presents at the end of the Universe? Absolutely nothing I tell you. "In The Late December" was a story I read last year and was brought back to mind as the holidays approach. It has quite a bit of heart for such a short tale. Enjoy! Here's a secret of the North Pole: Santa powders his hands with talc before donning his thick red mittens. It is a small secret, true, but some would give anything to steal even that. A secret is a detail, and here in the late December, a detail is as precious as a true name. Santa, a red exclamation in a white world, walks the reindeer line, stroking sugar-and-cinnamon fur. The reindeer shiver and snort and stamp their hooves, the lines connecting them to the parcel-laden sleigh jingling. Santa looks over to his candy-brick castle and waves good-bye, but no one stands in the doorway to wave back. With a sigh, he climbs onto the sleigh's driver's seat, the bench creaking beneath his weight. He pauses, holding the smooth and supple leather reins, and considers how to start the team. Onward? A-heya? Giddyup? Ho-ho? No, he's already used those. He makes a point of uttering a different word to inaugurate every outing, because he's been doing this for a long time, and if he didn't deliberately insert some bit of novelty into the procedure, he fears his jolly round head might well explode. That is another detail. Enjoy the rest of van Eekhout's "In The Late December" over at Strange Horizons. 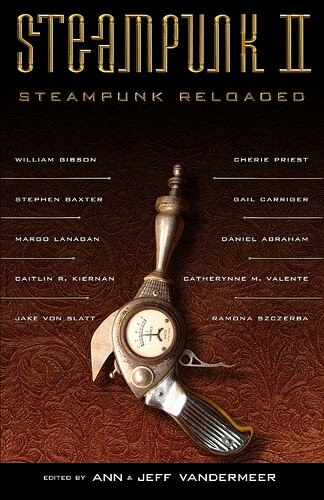 Tip of the hat to Tor Steampunk. 1884 is a Steampunk infused film that is being co-produced by Terry Gilliam and directed by Tim Olive who worked with Gilliam an various films in the past. 1884 will be a mix of puppets with CGI used for the heads, which should give the film an usual look and feel. Judging by the early clip above this should be a hoot and a half. Anything Gilliam is involved with never disappoints in terms of quality. Some Monty Python alums will be voicing some of the characters, but no word yet on who from the illustrious group have been committed. "The quality of the work is amazing: It's not slick and sleek CG work, such as studios in L.A. particularly produce. It looks crafted by an artisan, and the scale and design are spectacular." The goal is apparently to have a futuristic sci-fi story about 1884, but make it look as if it were made in 1884. No word on release date as they are still looking for the last bit of financing, but given Gilliam's involvement it should move forward. I've always been a fan of Gilliam's work especially Time Bandits and The Adventures of Baron Munchausen. 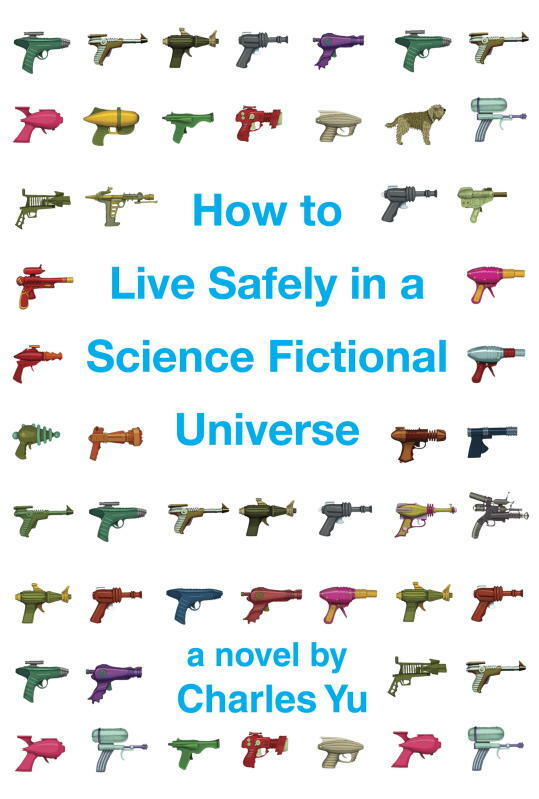 For the last couple years there has been a dearth of new blow-you-away Science Fiction novelists. Many of the authors that have been around for 5+ years are doing well regarded work such as Charles Stross, Peter F. Hamilton, John Scalzi, Neal Stephenson, Paul McAuley, and Alastair Reynolds. While they keep packing punches it is only recently that new stars are emerging in Science Fiction area. We've already been inundated by the new school of Fantasy with the likes of Abercrombie, Rothfuss, and Lynch, but where are this generations new Sci-Fi superstars? Well, they've been coming along, but it seems to be taking a little longer. Over the last two years the bright voices have finally been coming out of the woodwork and short story world like Paolo Bacigalupi and Charles Yu. Now we can firmly ensconce Hannu Rajaniemi in that crew of authors sure to direct the future of Sci-Fi. 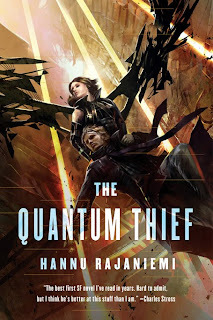 The Quantum Thief is one of the most fast paced Sci-Fi novels in recent years, which sets the mind afire with culture-building and the highly stylized scientific curiosities including a spaceship that looks like a black spider web as depicted on the UK cover. The story begins in a prison, but this isn't a typical space prison in some quiet corner of the galaxy. It is a prison of the mind where each day you must face down a copy of yourself in some sort of battle to the death and than just wake up the next day to do it all over again. Jean le Flambeur is a master thief and he has been imprisoned by the Archons, a super-intelligent race of AIs only someone wants to get him out. The Prison section could have actually lasted longer as we only get a few glimpses of the Archons and how they operate, however they still have pivotal roles. After Jean escapes things get very complicated and difficult to follow at times as there are some issues that take getting use to. The shifting of first to third person gets confusing as does the identity of some characters. Many have multiple names that are referenced differently as the story progresses and there is another aspect of memory transfer and identify theft that also play in to the confusion at times. I almost wished for an identity key at the end as I might have missed some connects at points. Jean is particularly unknowable as he isn't even sure who he is himself. Is he just a master criminal or revolutionary or simply delusional? Regardless, The Quantum Thief is a book to re-read just to catch those little nods and clues the author included. There are also issues in empathizing or connecting with many of the characters. They all try to seem distant and superior to one another except for possibly Isidore the detective character who was my personal favorite, especially his chocolate investigation in the beginning. But they do have depth and motivations that ring true. Where The Quantum Thief comes alive is the different groups and how they evolved. Most of the action takes place in a moving city on the face of Mars, which is home to the Oubliette to whom time literally is money and where personality imprinting and memory sharing is common place by touch. They are a group of humans who take turns as a normal person for a life span only to have to devout their minds to the body of strange creatures to help keep the society moving because Mars is a planet still very much wild country. The city is also home to a refuge for the Zoku who are a group of highly evolved former MMO players with incredible technology. If anything Hannu suffers from trying to fit too much in too small a page count. Many of the ideas could have been expanded upon and not much if any of the pacing would have been lost. But The Quantum Thief is a full throttle ride that shouldn't be missed if you're a Sci-Fi fan. Even with some narrative problems The Quantum Thief is one of the most memorable Hard Sci-Fi debut novels that have come around in years. 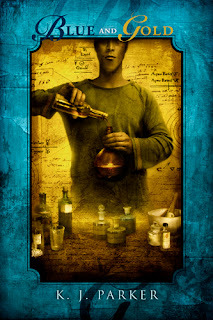 The mixing of detective, caper, and Sci-Fi styles plays well and shows off Hannu's deep imagination. I give The Quantum Thief 9 out of 10 hats. Rajaniemi has left himself plenty of room to grow in not only this universe and characters, but with his own style. 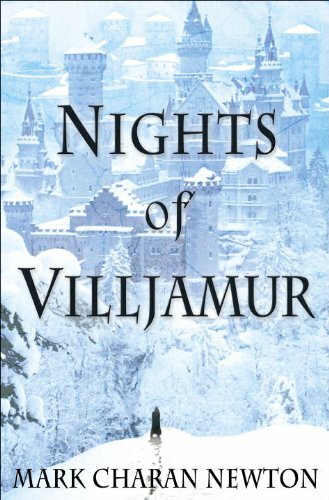 I want to read the next book just to see what else Rajaniemi's future holds. 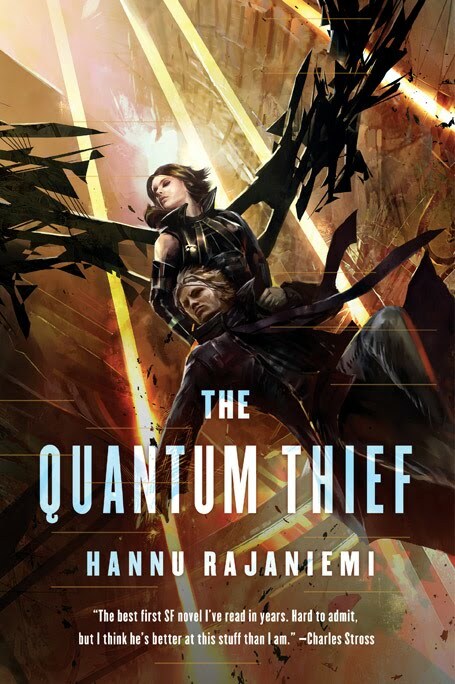 It is no wonder that The Quantum Thief is already in its 5th printing in the UK and looks to be a major release in the states come this May. It is getting to be that time of year where the blogging masses post lists of all stripes. And not one to be left out in the cold I've been keeping track of my favorites as well. 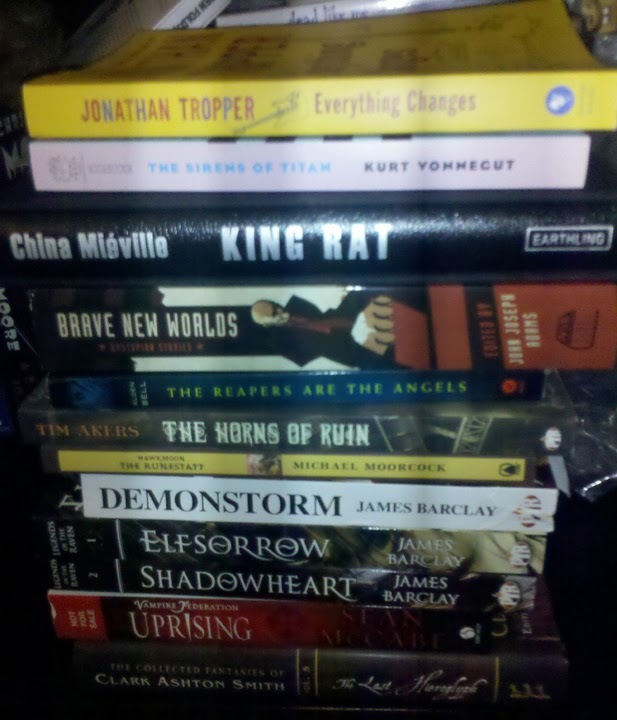 I've read more than 100 books this year and reviewed close to 50 of them while only mentioning a few others. Summations are good. They make you reflect on what really worked. My more definitive best of list will be up around the end of the year, but there is plenty to dip into if you feel so emboldened. Without further preamble here are the best, most entertaining, and original books I've read this year in no particular order. For those fans of statistics here is the break down by publishers with multiple books on the list excluding the books that came out before 2010**. These numbers leave out the books from before 2010. The dominance of Tor US at first surprised me, but not after I had a chance to look at the nominees. This list could also be changing as I have a couple 2010 releases I hope to fit in, which is why I wanted to wait until the year is closer to actually ending before committing myself. 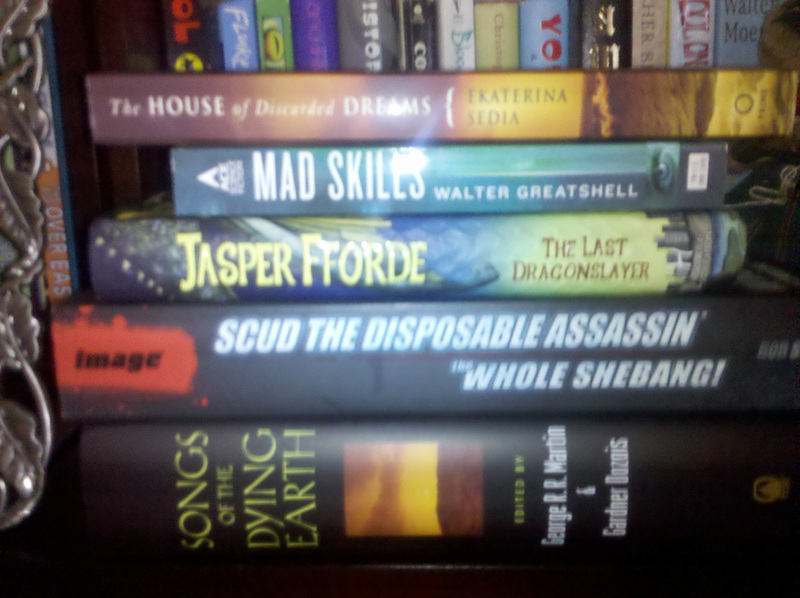 First and foremost is Ekaterina Sedia's The House of Discarded Dreams, which I'm 1/3 of way through. Already I can tell it at least belongs on this long list. 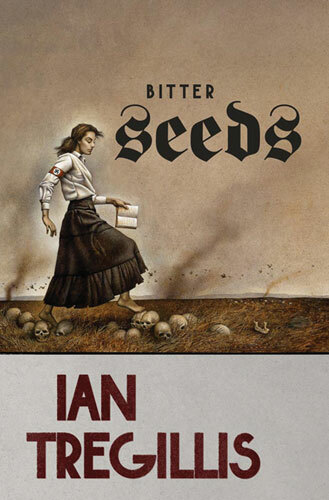 * This has been out of print for awhile, but Small Beer just reissued it. **Note some books are counted twice if they had different publishers in the US versus UK. *** Note that 4 of Spectra's books have been published in the UK and only one has been official released in the US so far. 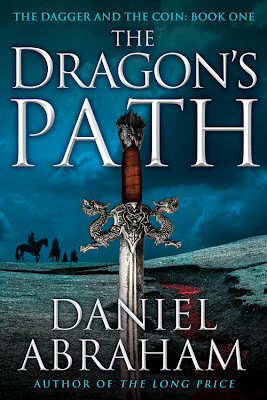 The Night Angel series established Brent Weeks as part of the new school of Epic Fantasy authors going for the darker path while also embracing his own twisty style of story telling. 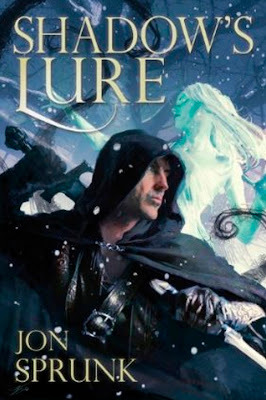 In the past Weeks mentioned his intention to return to the world of Night Angel, but not until after he finished the Lightbringer series, which started strongly with The Black Prism. But he has a special treat in store for all the Night Angel fans out there. 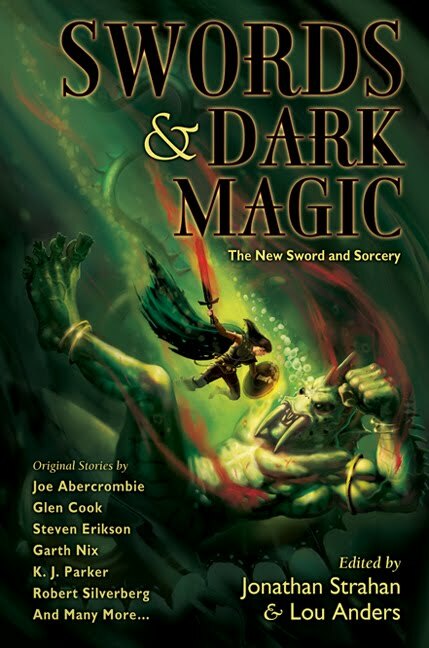 As mentioned earlier Brent Weeks has just finished a Durzo Blint short story. I couldn't help but try to find out more and Brent was kind enough to answer my questions. WARNING: If you haven't read the Night Angel series there is something mentioned below that can be considered a spoiler. MH: This Durzo novella sort of came out of nowhere. What made you want to delve back into Durzo's history? Fan response or have you always had this story in mind? WEEKS: First, I should throw a caveat in here. Technically, it's a novelette--it's 16,000 words (60-ish pages), and a novella is 17,000 to 40,000. But I called it a novella in my tweet because, heck, who's ever heard of a novelette? So readers should expect like a really long short story, rather than a short novel. 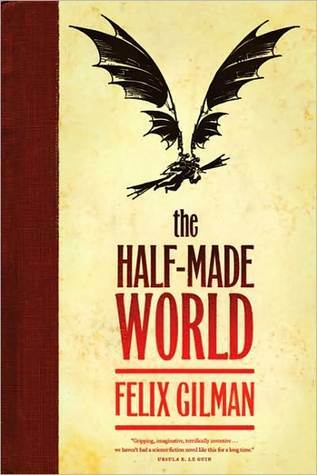 I'm an epic fantasy writer, so I'm incapable of writing a short novel. However, blowing way past the limits of a short story--that, I can do. 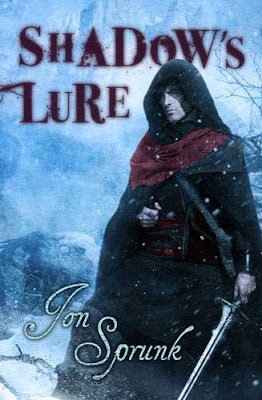 My sneaky idea, which I have no idea if it will really work out, because the creative mind loves what it loves, is to do one Durzo short story between each of the Lightbringer novels. That way, I'm keeping something alive for the fans of Night Angel, I'm getting to experiment and do something different while engaged in a multi-year project, and I'm showing more of the world I'll eventually come back to after Lightbringer is finished. Durzo has been around for a long time, and I've always thought it would be fun to tell more stories about him. The story came out of nowhere because it's got a really different flavor. I demand more of my readers in this one. Quite honestly, I didn't know if I could pull it off. So I didn't want to sell it before I wrote it and then be obligated to turn in something--because that something might not have been that great. And I worked on it for a couple weeks at the end of the summer, didn't think it was going anywhere, and then got caught up in touring, and then after touring sat down to work on the next Lightbringer book--but this stupid thing just started scratching to get out. Now that it has, I'm really quite proud of it. 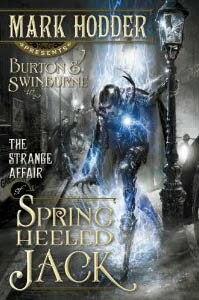 MH: Does the novella have a working title? And what sort of release is planned? Your publisher Orbit announced a few months back a short fiction eBook program so that was brought to mind. WEEKS: Well, since Orbit has only just received the story, I probably shouldn't tell you my brilliant title ideas (or crappy ones), in case those get rejected in favor of something else. Because then I'll get fans writing me, saying, "But I thought you had another short story, called X! This one was terrible. I want to read that one!" What sort of release is planned? Ha ha ha. You think there's a plan? The Orbit short fiction program will probably be its first home, and I definitely have some other hopes--but nothing's been signed yet, so I better sit on that one. 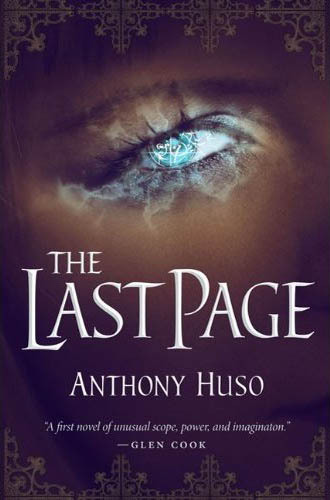 MH: What can we expect from the novella? Does it take place right when Durzo gets his powers or earlier when he was becoming someone important in the land of Midcyru? WEEKS: The bulk of the story is literally how Gaelan Starfire becomes Durzo Blint. So you'll see a younger Momma K, assassinations, ka'kari and more. I think it stands on its own, but it will be much more rewarding if you've read the Night Angel trilogy. I don't do a lot of hand-holding in this story. You can catch things, or just miss them. It moves really fast. I did have moments where I thought, "I could easily turn this into a full length novel." And if I didn't feel an obligation to fans to finish Lightbringer in some relatively reasonable time frame, I might have entertained those thoughts more, because this was really fun to write. MH: What's next for you? Vacation to some fabled island where authors can relax or are you jumping into the next Lightbringer novel? WEEKS: When I sent my agent this Durzo story for his comments, he gave me some great suggestions, and then at the end, he said, "Great story, brilliant, wonderful. Now get back to work." So I'm back to working on Lightbringer 2: tentatively titled The Blinding Knife. MH: Thanks for your time! Brent Weeks is the New York Times best-selling author of The Way of Shadows, Shadow's Edge, and Beyond the Shadows. 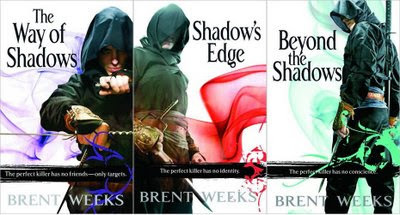 To learn more about Brent Weeks visit his blog or follow him on twitter. New Procurements with a Limited Edition and Gifts! The last couple weeks has been quite a blur, but I've gotten a lot of good looking books. Both review copies and a few purchases including a very nice signed limited edition make up this batch. So we can definitely say my book buying hiatus is over. Still I'm surprised I lasted as long as I did. While away I learned I had $10 in Borders bucks that expired that week. Which meant I had to go to a store. Low and behold that store was having a closing sale with everything discounted. So...Well anyway there are two batches pictured below as I got a bit behind with things and the second includes some early holiday gifts I received. 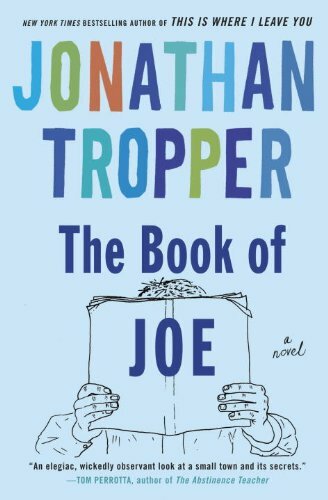 Everything Changes by Jonathan Tropper - I've been slowly making my way through Tropper's catalog and on break last week I read his The Book of Joe and on my trip to the bookstore I of course had to pick another of his novels up. I'm starting to like his stories even more than Nick Hornby's work as it is a bit more relatable to me personally. The Sirens of Titan by Kurt Vonnegut - I got it in my head that I needed to read some Vonnegut so during the bookstore run I picked up Sirens, which I have never read before. At least not that I can remember. King Rat by China Mieville - This is the signed and numbered limited edition Earthling Publications did a few years back of Mieville's debut novel, which I nabbed for an insane $27 from a sale they were having. It sports a slipcase and a nice simple leather cover with numerous interior illustrations by Richard Kirk. It originally went for $85 so I consider this the deal of the year. Brave New Worlds edited by John Joseph Adams - The latest J.J. Adams reprint collection was sent to me from Night Shade which follows Wastelands in many ways. This is a massive collection of dystopian fiction from dozens of classic and modern masters featuring a veritable who's who of speculative fiction. Every one from J.G. Ballard and Ray Bradbury to Tobias Buckell and Neil Gaiman are represented. I definitely want to sink my teeth into this one soon. Harrison Bergeron — Kurt Vonnegut, Jr. The Reapers Are the Angels by Alden Bell - Another buy from my Borders run. 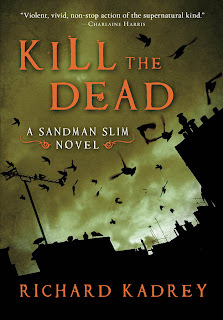 I've been hearing the most wonderful things about this zombie novel that I had to finally pick it up. Although thinking about the word wonderful doesn't seem right for a zombie book. Fiendishly good things perhaps? I'm in the middle of David Moody's Autumn right now so Reapers will probably wait until after the New Year. 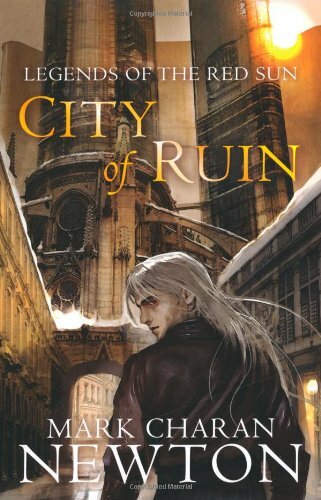 The Horns of Ruin by Tim Akers - I reviewed this only a few short weeks ago, but Pyr was kind enough to send me a finished copy which sports a blurb by a few cool bloggers. It is out in stores now. So grab a copy if you're in the mood for an action packed Swords & Science novel. Hawkmoon: The Runestaff by Michael Moorcock - The latest in the Hawkmoon reissues just showed up from Tor. I still need to make time for these, but I'll probably try the first Elric omnibus first. Elfsorrow, Shadowheart, and Demonstorm by James Barclay - The first three volumes of the Legends of the Raven series is coming out quickly from Pyr with Elfsorrow already out and the other two following this month and next. The gorgeous Swanland covers are still catching my eye. These are covers you want posters of on your walls. A gruesome ritual murder has stained the Oxfordshire countryside. It's just the first incident in a chain of events awakening Detective Inspector Joel Solomon to his worst nightmare-and a dreadful omen of things to come. Because Joel has a secret: he believes in vampires. Alex Bishop is an agent of the Vampire Intelligence Agency. 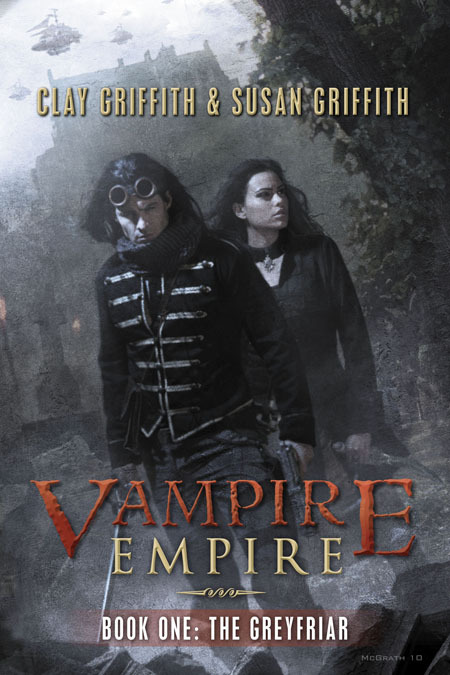 She's tasked with enforcing the laws of the global Vampire Federation, and hunting rogue members of her race. A tough job made tougher when the Federation comes under attack by traditionalist vampires. They have a stake in old-school terror-and in an uprising as violent as it is widespread. 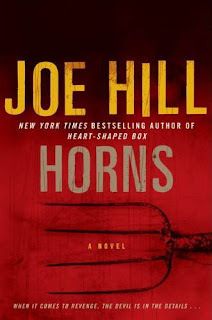 Now it's plunging Alex and Joel into a deadly war between the living and the unloving-and against a horrifying tradition given new life by the blood of the innocent. The Last Hieroglyph by Clark Ashton Smith - The 5th and final volume of The Collected Fantasies of Clark Ashton Smith that Night Shade Books has been lovingly been releasing over the last 3 years and was kind enough to send me a review copy of. I haven't read much Ashton before, but it looks like I know have the change. 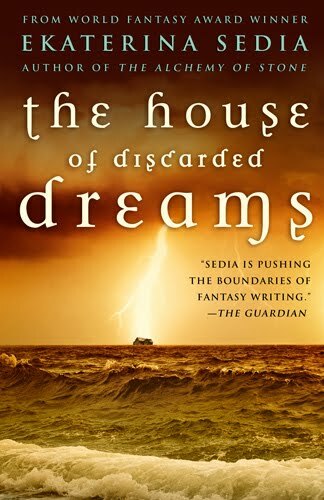 The House of Discarded Dreams by Ekaterina Sedia - Sedia is now one of those authors that is on my must-buy list and this is the last of my awaited books for this year. For a bit more on the book look at this earlier post. It took me a few visits to different stores to track a copy down, but now it is mine and will be read before the end of the year. 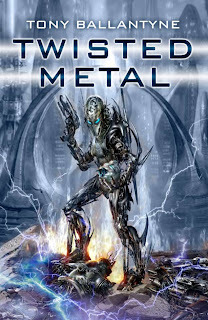 Mad Skills by Walter Greatshell - Greatshell is a new to me author, but this slim Sci-Fi Thriller was sent from the publisher and I have been looking for a short Sci-Fi novel to try out. 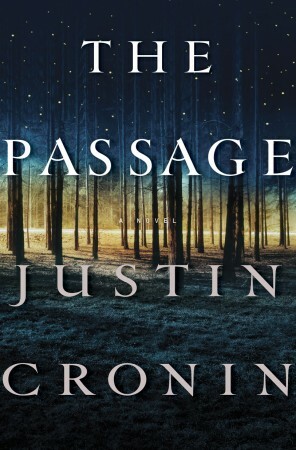 Unconscious for fourteen months after a debilitating accident, Maddy Grant awakens at the Braintree Institute, where scientists have successfully implanted her with a radical technology designed to correct her brain injury. But Maddy is more than cured. 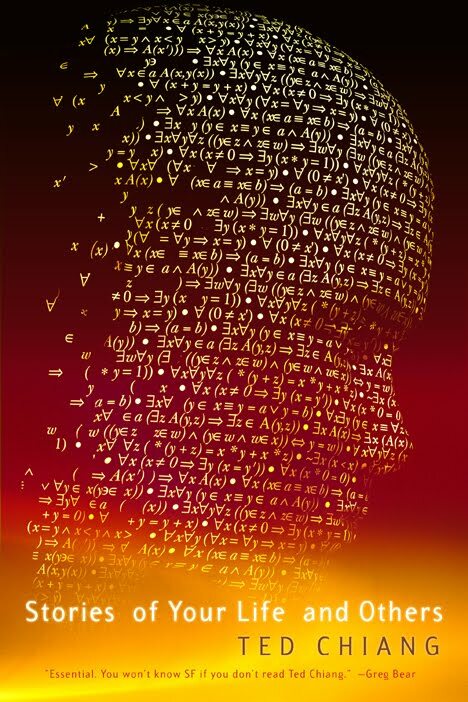 Her intellect has been enhanced to process information faster than a computer-an ability that's sending her emotions into overdrive. To monitor her condition, the institute sends Maddy to the nearby village of Harmony, where she will be free to interact with the community. But Braintree's scientists are not only monitoring her behavior, they're modifying it, reprogramming her personality to become someone else. The Last Dragonslayer by Jasper Fforde - The first gift I received for the holidays is Fforde's first foray into the YA scene with an Urban Fantasy. This will be read before the holidays are over. So it’s a surprise when the visions start. Not only do they predict the death of the Last Dragon at the hands of a dragonslayer, they also point to Jennifer, and say something is coming. Big Magic . 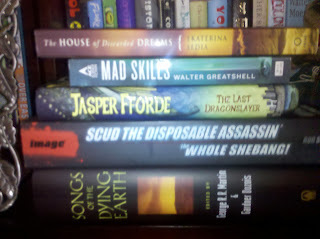 . .
Scud The Disposable Assassin: The Whole Shebang Edition by Rob Schrab - The other gift I received. My friend asked what I wanted. He is a big graphic novel fan so I told him something fun that isn't book 1 of 10 and so I got the complete Scud. He said since I'm a big Atomic Robo fan I enjoy the hell out of this. I have no doubts. In the world of Scud, bullets are cheaper than human life. Corner vending machines provide any weapon you might need. The most popular weapons are Scud disposable assassins: Robot hitmen that self-destruct when they kill their target. This volume follows Scud 1373, assigned to take out a hideous female man-eater named Jeff. While fighting the indestructible Jeff, Scud discovers his infamous warning panel in a bathroom mirror. Realizing that to kill Jeff is to kill himself, Scud blows off her arms and legs and hospitalizes her. Her life support bills will have to be paid, and Scud will have to find more work to stay alive. Songs of the Dying Earth edited by George R.R. Martin and Gardner Dozois - This massive anthology is in honor of Jack Vance and his Dying Earth series. So heavy hitters make me want to take a close look. Between the GRRM, Gaiman, Simmons, and VanderMeer this should be quite a treat and I'm hoping it will improve my opinion of the Dying Earth series as I wasn't a big fan of the first in the series.